I've just finished up a new original illustration as part of my portfolio preparation for the 2015 SCBWI Europolitan conference, to be held in Amsterdam at the beginning of April. The concept is a princess who brings the frost. 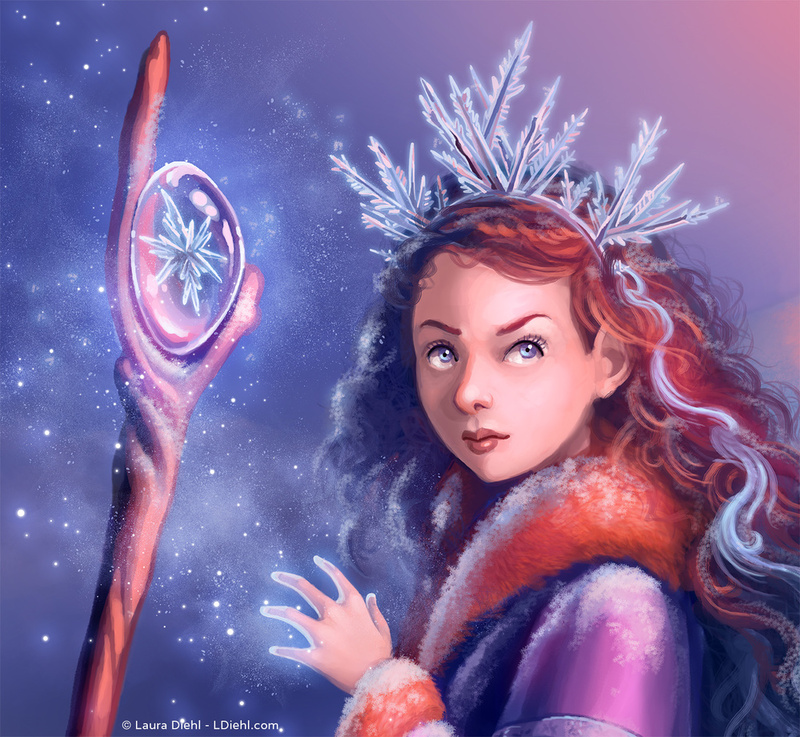 I was thinking of her as the Snow Queen's little sister. This image started with a very specific lighting scheme and color palette in mind. 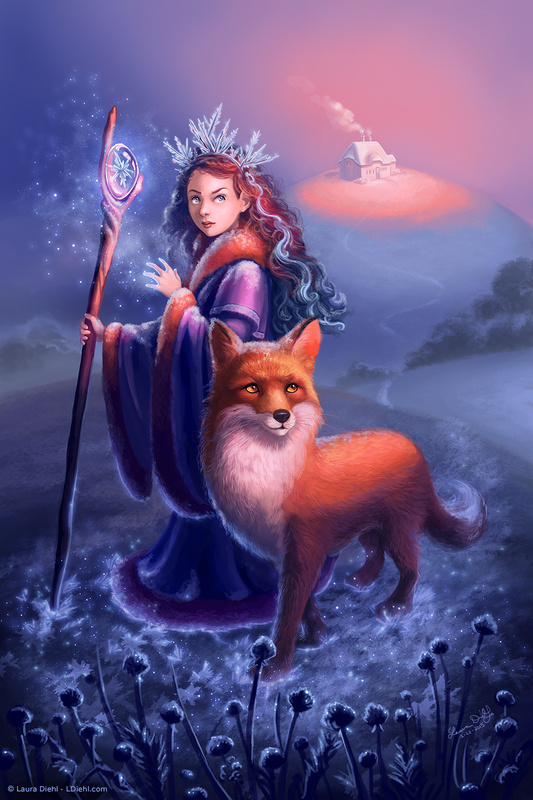 At first it only featured the fox, but quickly evolved to include the girl. I also had a lot of fun making Photoshop frost brushes for this one.